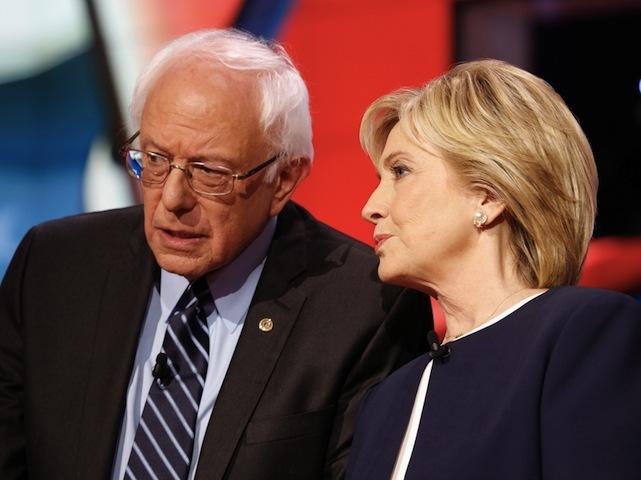 What Can The Presidential Candidates Teach Us About Social Marketing? Regardless of which side of the aisle you sit on, your brand can take a lesson from each of the master marketers who remain in the race. They clearly know how to engage their base. Donald Trump may get most of the media coverage, but let’s be real: All of the 2016 presidential candidates are expert brand builders. To run for president, you need to possess a certain je ne sais quoi when it comes to communicating messages that can provoke people to take action. So regardless of which side of the aisle you sit on, your brand can take a lesson from each of the master marketers who remain in the race. The candidates clearly know how to engage their base. Below are some of the top strategies and tactics of Decision 2016, which can be applied easily to your organization’s social channels to gain traction and win over some very loyal constituents. In 2012, shortly after the Occupy Wall Street movement, the Pew Research Center found that 60 percent of Americans hold a negative view of socialism. A more recent Gallup survey revealed that less than half of Americans would vote for a socialist candidate. Bernie Sanders hasn’t let that public sentiment sink him. The Vermont senator instead sidestepped political suicide by defining democratic socialism before it could define him. Brands can take a page out of Sanders’ playbook by understanding exactly who they are and what they stand for—as well as what they don’t. This proactive outreach establishes a point of view and sparks engagement. Getting out in front of the message is also essential to navigating a social media crisis. In fact, social media mistakes costs major corporations, on average, $4.3 million a year, according to a report by Symantec. With such a large amount of money (as well your brand’s reputation) on the line, turning a blind eye just isn’t an option. What’s more, with 30 percent of the U.S. population using Facebook as a news source, you need to have your message ready to roll to prevent a crisis from spreading like wildfire. Trump has some very strong opinions—and he isn’t afraid to share them. As a result, the billionaire businessman’s ability to captivate a crowd has earned him a ton of free media. But exactly how much free media are we talking about here? A recent Tyndall Report revealed that Trump dominated 32 percent of all presidential election coverage in 2015. This staggering imbalance shows the power of opinionated content to attract both positive and negative attention. But attention nonetheless. If you want to steal some of your competitors’ oxygen, you don’t have to be as divisive as Trump. But you do have to take a stance. Brands without a strong perspective are dead in the water. Consumers want to know who you are and what makes you different before they make an investment in your products or services. Use social media as a place to test your messages to see how your audience responds. And while you’re at it, don’t be afraid to occasionally cross-promote everything you offer—from magazines to meats—whenever it makes sense. Hillary Clinton may claim that she’s “not a natural politician,” but after decades in the spotlight, she certainly knows how to read her audience. Whether delivering a 10-minute stump speech or sending out a 10-second Snapchat, the former Secretary of State moves with ease. A brand’s content strategy should be just as flexible. That is to say: Shorter isn’t always better, and longform isn’t necessarily a shoo-in.